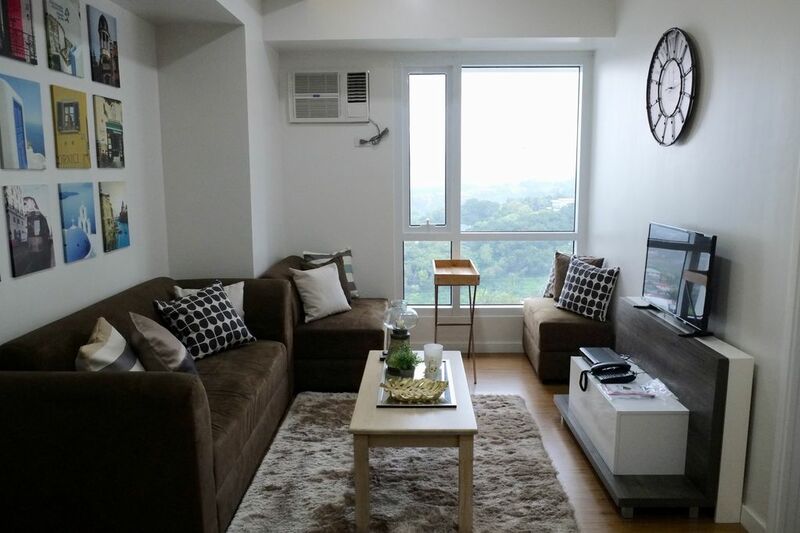 This is an elegant, comfortable, well designed &amp; clean 1 bedroom unit located just right beside Marco Polo Hotel. It has a cozy ambiance with a view which is designed for a relaxing &amp; stress free stay. Staying here is like living out of the city &amp; yet you are in the city! The privacy, the breezy air, the quite space... situated atop a hill &amp; yet you are just mere minutes away from IT Park where there are many restaurants, cafes &amp; nightlife. Perfect for business travellers too. The unit is on the 16th floor with both the bedroom &amp; living room windows having partial views of the city which is stunning at night. The bedroom has a queen size bed with 2 memory foam pillows &amp; 2 standard pillows to make you extra comfortable. Bedroom windows has blackout curtains to give you the perfect well rested sleep. Personally I do not like gloomy dark rooms so the Living Room area has no curtains to let a lot of light in during the day that makes the place sunny &amp; happy! Shower area is fully glass enclosed. Hot &amp; cold water is available in the shower area. Chill &amp; relax by the window nook with a glass of wine at night with the city views in the horizon. If u want to chill at certain times of the day there is also an outdoor lounge near the pool area with fresh air &amp; views of the city which is perfect for that. If there is anything that I can help you with please dont hesitate to contact me and I will do my best to accommodate your needs where possible.